McFarlane Toys partners with HBO's hit television series Game of Thrones to bring you a highly detailed figure of Jon Snow in 6-inch scale. 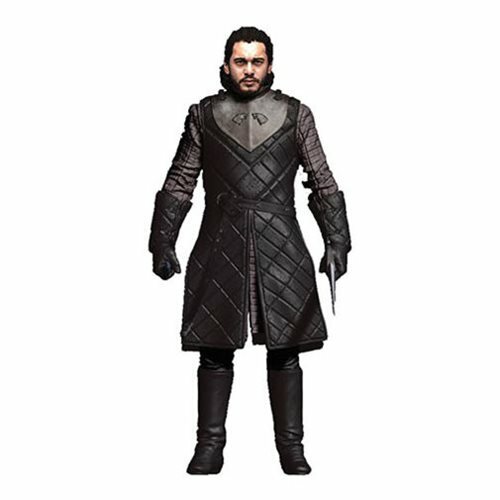 The Jon Snow action figure comes with screen accurate accessories, and is featured in his classic outfit from season 7 of the show! Jon Snow features over 12 points of articulation with legendary Longclaw sword and Dragonglass dagger accessories. Ages 12 and up.